Items listed chronologically… If you wish to list a used Glimakra product, please fill out our listing form. 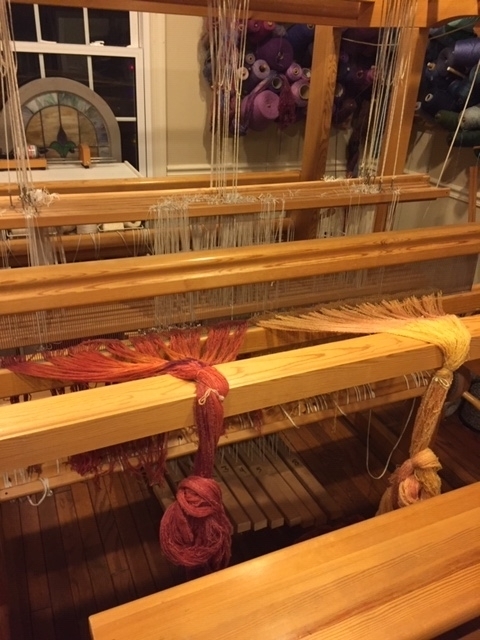 Fill out our listing form to list a loom or other Glimakra item. nonsmoking house with no pets. 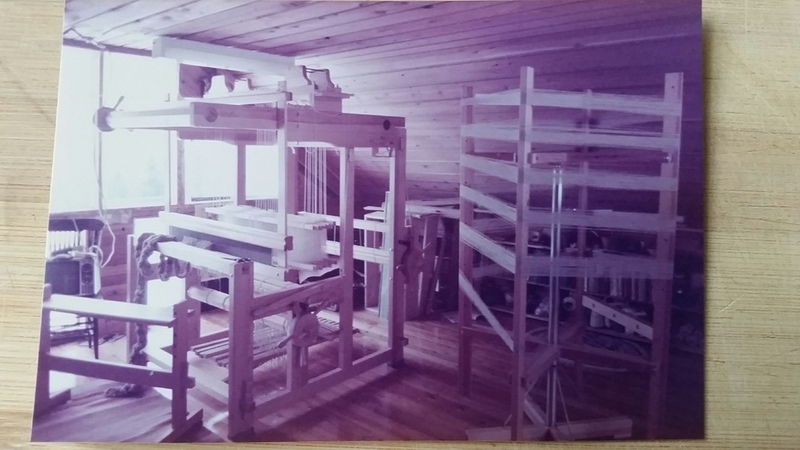 so you will have a record of how to put the loom together. 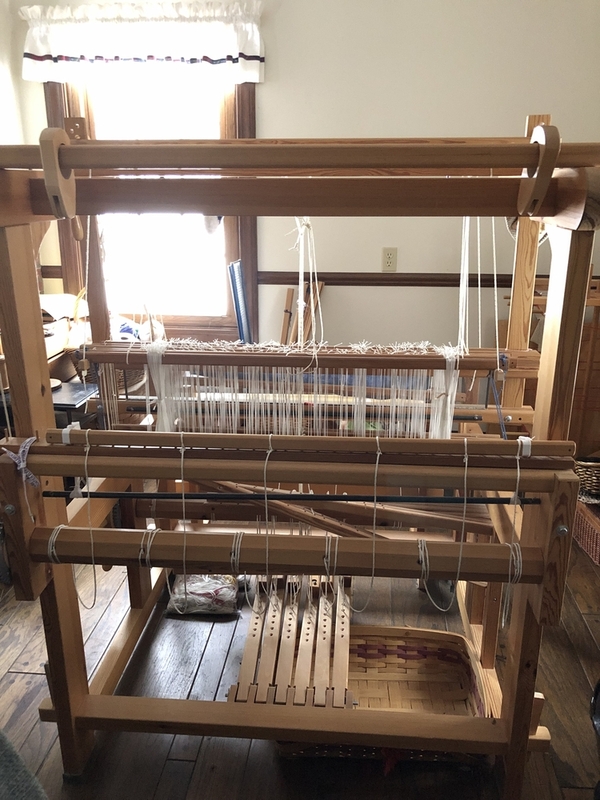 10-20% less than a new loom. 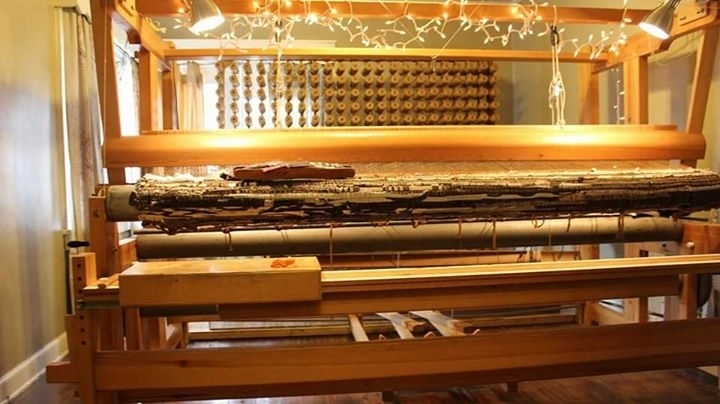 8ft weaving width, 4 harness Glimakra Sovereign Loom. 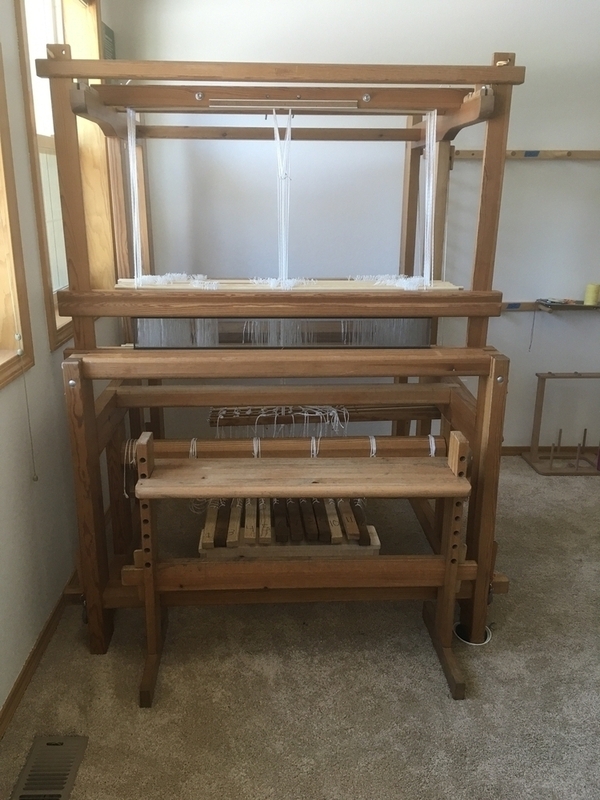 Sliding bench included and custom made spool rack (with the 10/2 gold brown poly warp that is left on it 870spools). 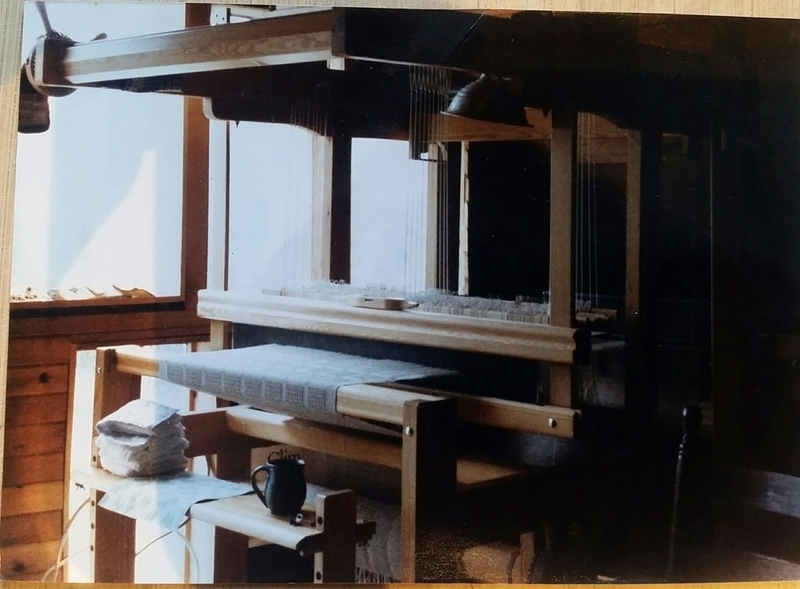 History: This loom was made for a business, sold to a school, sold to a lady from Ohio that had it for at least 15 years and then I have owned it for 6 years. Pick up only. 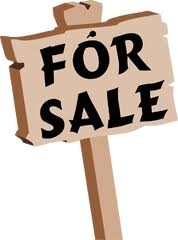 It is set up and in working condition, so would need to be taken down by buyer with help from seller. Beams are extremely heavy. 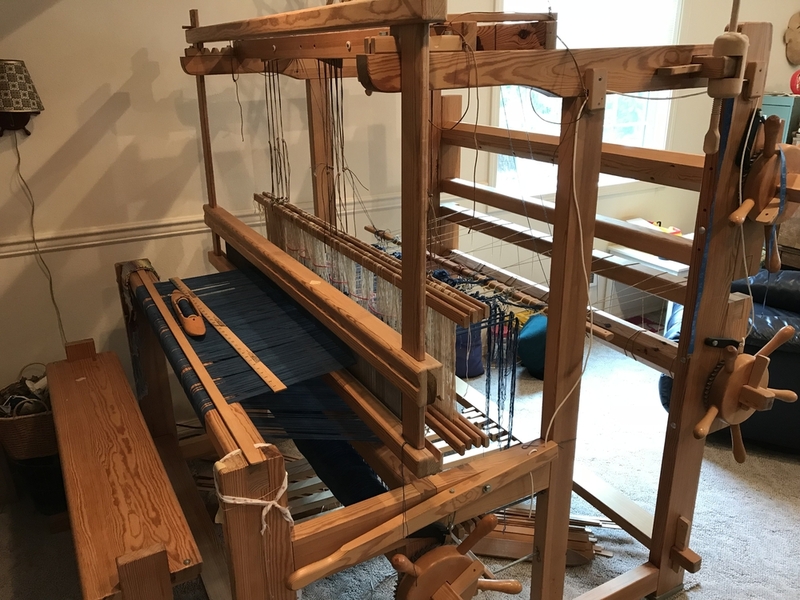 We purchased from CO disassembled and hauled it back in a pickup. 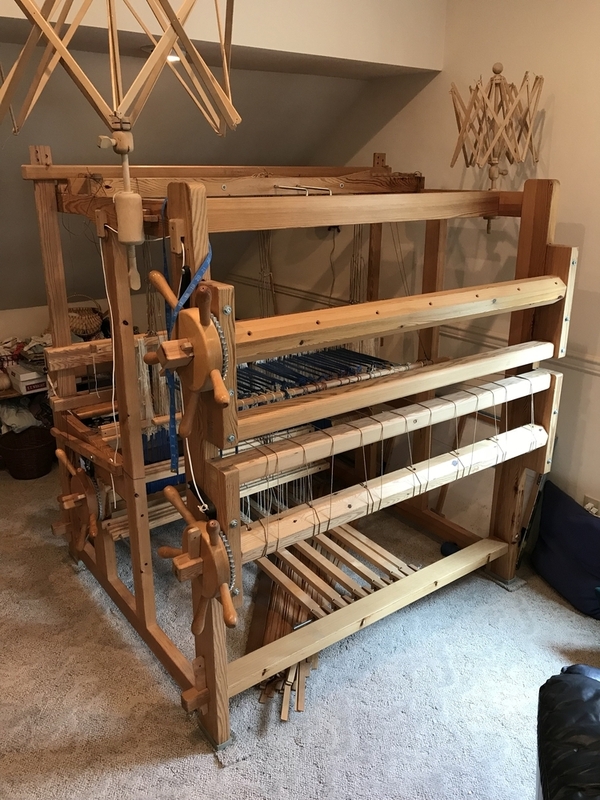 43" Glimakra 10 shaft, 12 treadle countermarch loom. Approximately 1000 new texsolv heddles. All new texsolv tie-ups. Lease sticks, rattle, shaft holders, shaft pins and bench. 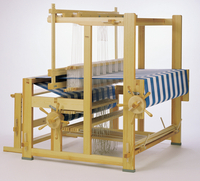 This is a great loom with a small footprint. Located in Sandpoint, ID. 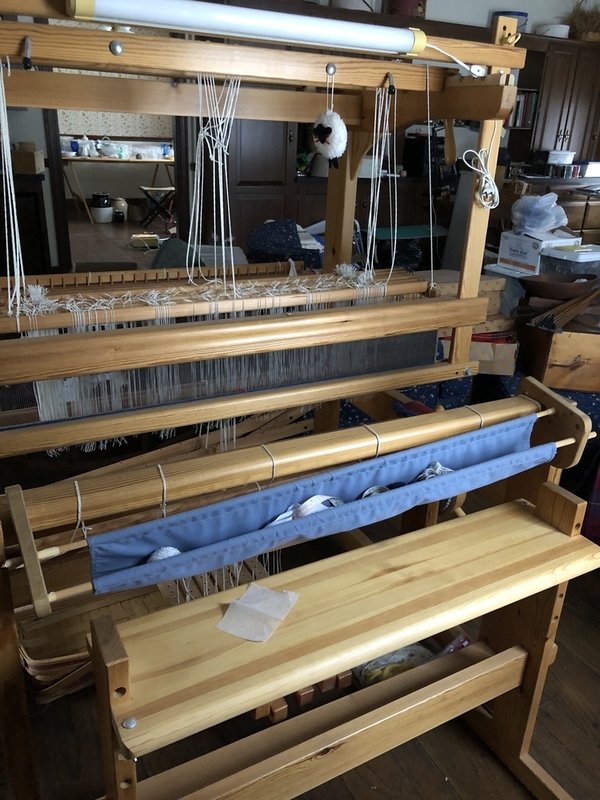 This loom is aprox 15 years old and in perfect shape. Has a 6 dent reed included and bench. 59 in. 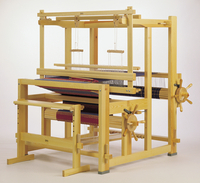 10 shaft Glimakra Draw Loom. 50 shaft capacity. 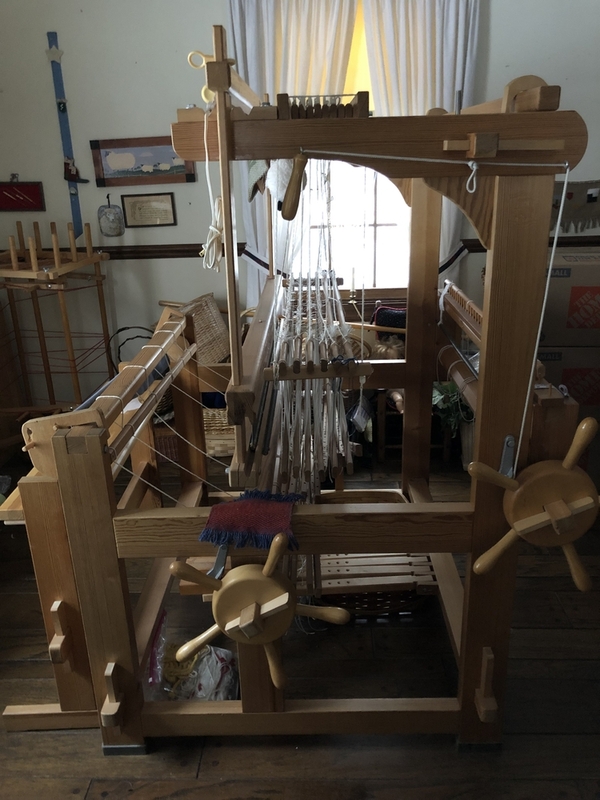 Includes all cords, long heddles, lingos, lease sticks, warping sticks, warp stick catcher, bench, bench basket, shaft holders, 8,12 and 20 dent reeds. 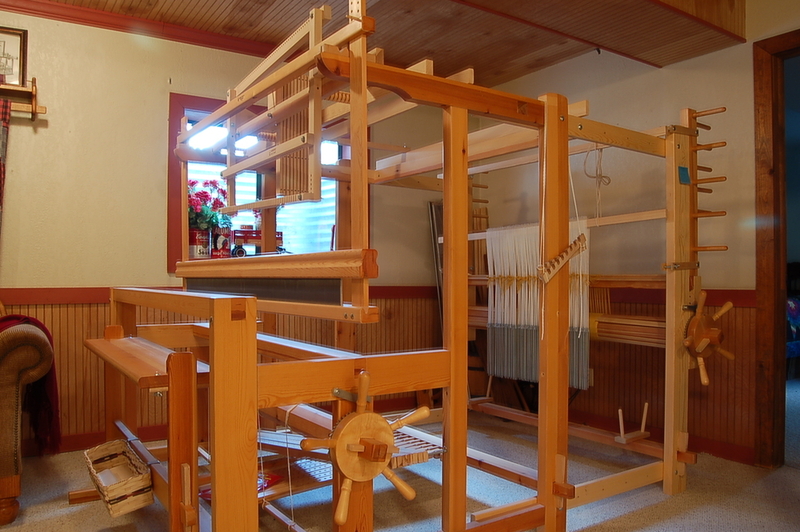 Also includes horizontal lift set up from before I converted to a draw loom. 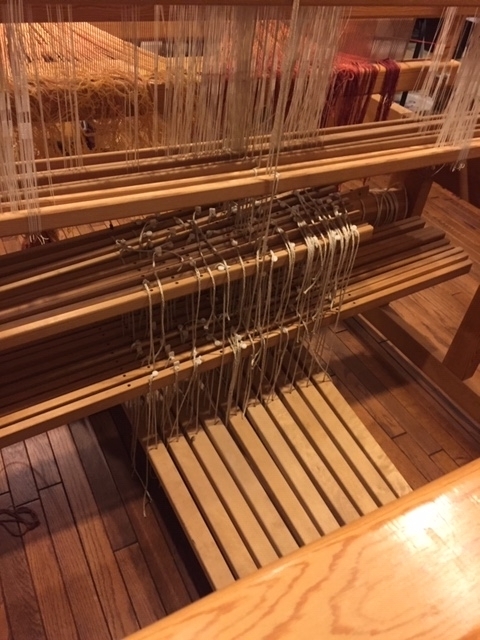 Warping frame mounted on back. Buyer pick up. 10 pattern shafts and 10 ground shafts included. 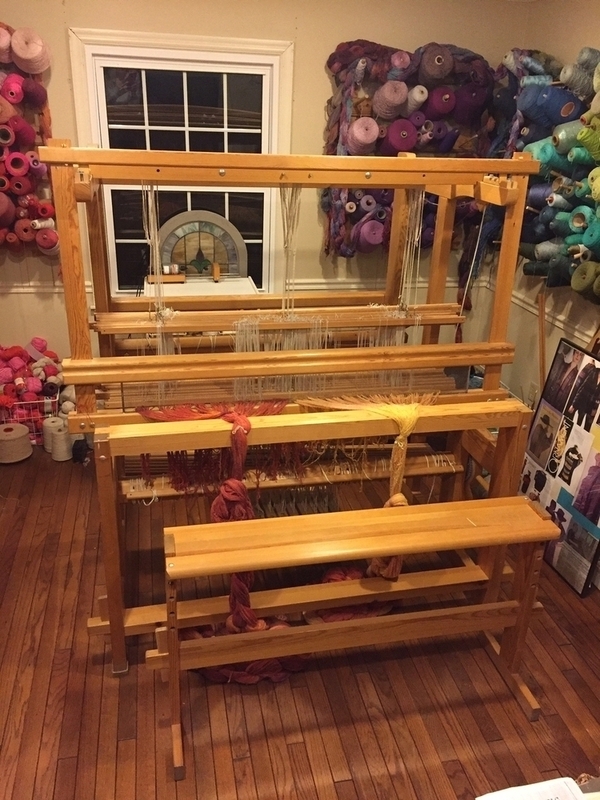 Beautiful Glimakra Damask Harness Loom 120cm 10 shaft 10 treadle. Great shape -used only a few times. Complete with Texsolv heddles and tie ups. 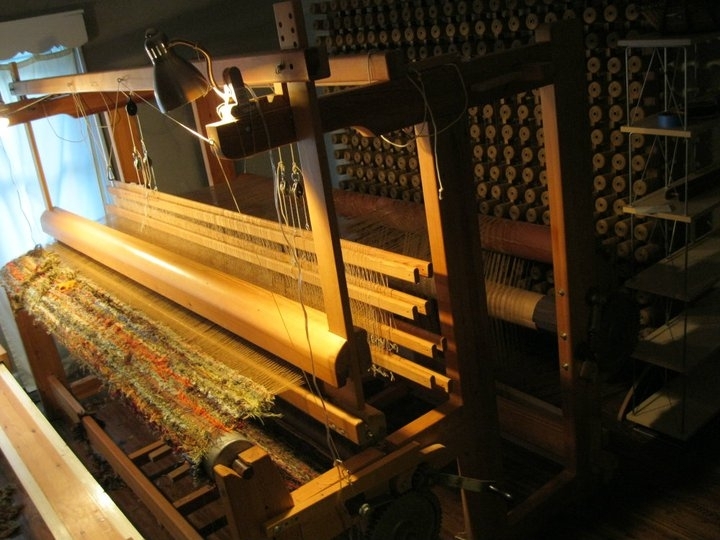 Bench, Umbrella swift, boat shuttles, rug shuttles, temples, reeds, swedish bobbin winder, etc. Complete with assembly instructions. Disassembled and ready to go.